I bet you didn’t know your toothbrush is probably as dirty as a toilet seat. Next to buying a fresh new brush frequently you can keep your existing brush sanitized with this neat UV tootbrush sanitizer you can mount on your bathroom wall. What is this toothbrush sterilizer? 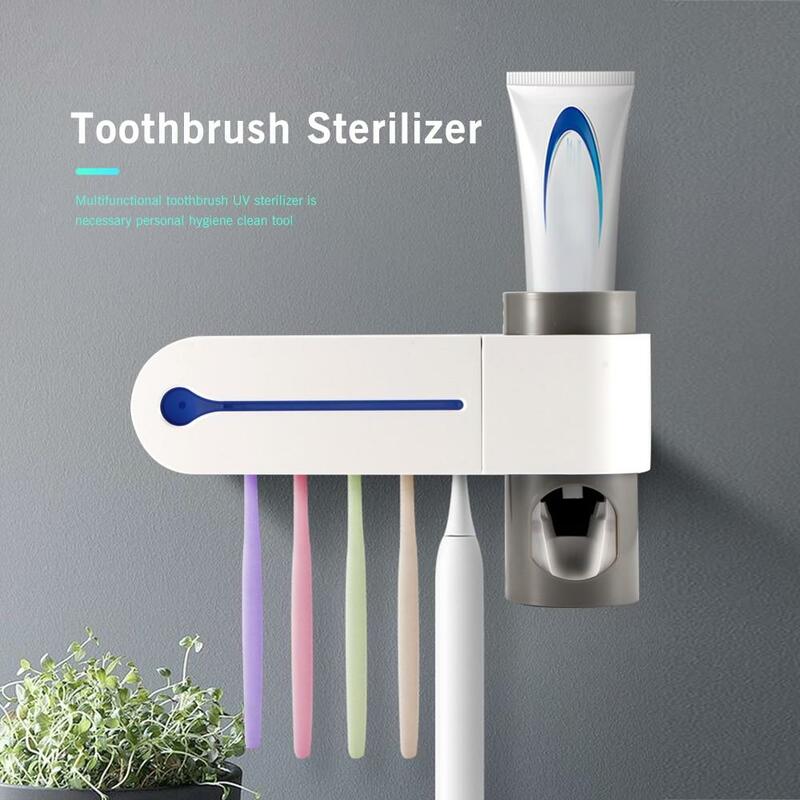 By using Ultraviolet-ray sterilization your toothbrush heads (the unit holds up to five brushes) will be sterilized clean of germs in around five minutes after switching on the power. Next to this you can put in a tube of toothpaste and dispense it on your brush from this unit. Including toothbrush Holder , toothpaste Dispenser, toothbrush UV sterilizer. 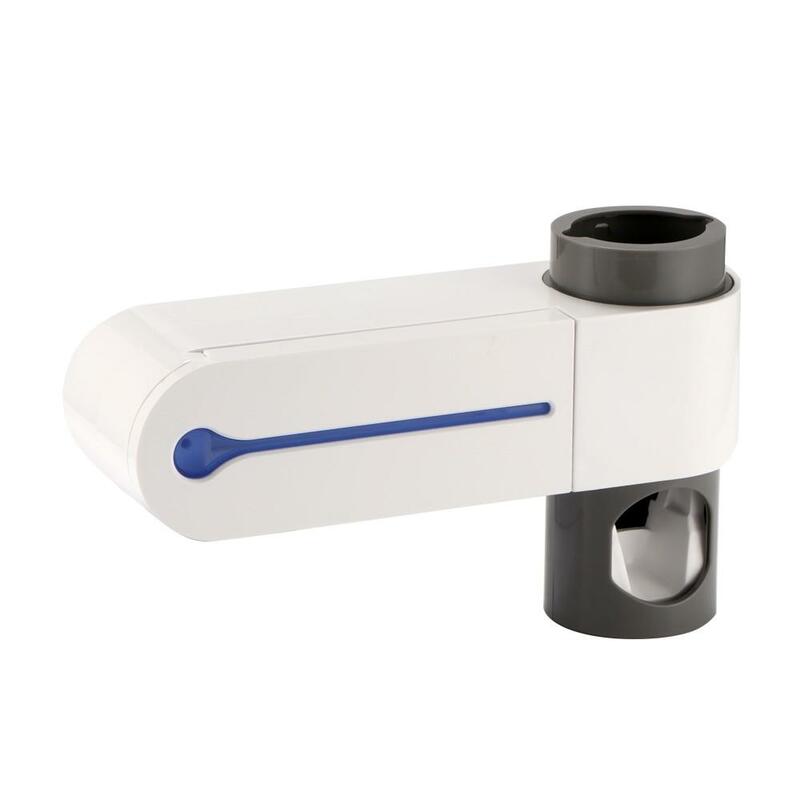 With a vacuum pump you can get just the right amount on your brush, protects toothbrush from cross infection. Plug in the power and switch on sterilization with a rate of 99.9% in 4-6 minutes. High quality Advanced ABS material, no toxic, environment friendly, durable and break-resistant, easy to clean. Built-in a sticker, perfect for smooth surface, such as glass, ceramic, marble. Make sure you clean the surface before you apply the toothbrush holder. You can get this toothbrush holder for a cheap price on Amazon.